One of my favorite ways to refresh my look after a travel day in airports and planes—that dead air of space—is to get my hair done—the whole enchilada—base color, highlights and cut, especially if your hair stylist is Mel Martel, Creative Director at Ricky Hodge Salon. She rocks! Not only am I “re-doed” but I got a bonus—a gift from her chickens, 1/2 dozen eggs. These eggs never made it to refrigerator as after the hard workout in the salon chair, I was hungry—voila! 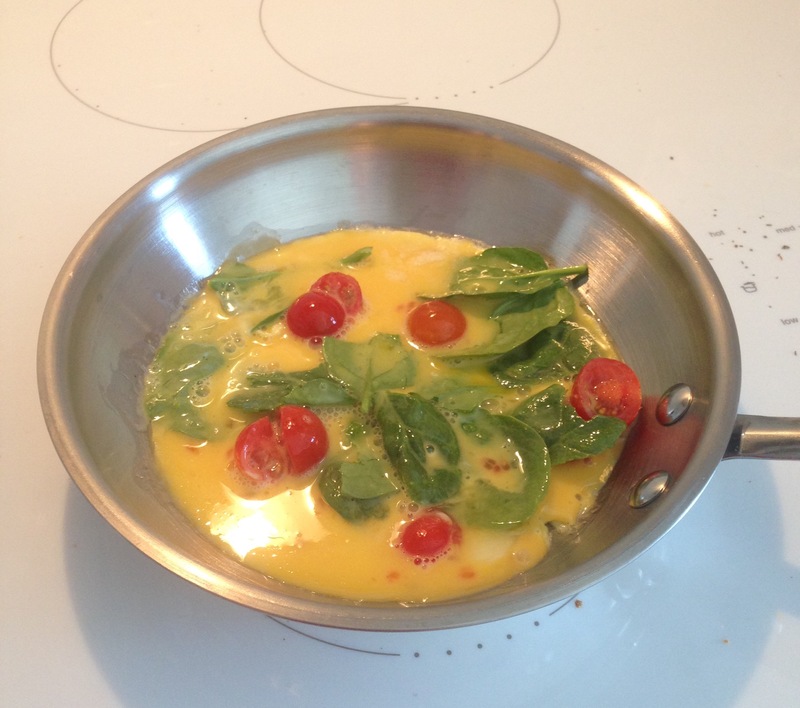 An omelet with spinach and cherry tomatoes for lunch. Thank you Mel! Good things build on good so after the omelet, I found the “Boy and Egg” poem by Naomi Shihab Nye, one of my favorite poets.